So I finally got everything unpacked and I am pretty settled. I have two jobs too! It has only been two weeks, but a fast two weeks at that. I walk almost everywhere, and I like it that way. It is pretty nice over here! I can't wait to go see LA! Hey everybody! Here is a sample of a shoot I did a month or so ago. Sorry it took so long to put up, I have been so busy getting settled in here on the west coast!! We did three outfits, and this was by far my favorite because it was a bit vintage with a taste of retro. My aunt gave me that dress when she cleaned out her closet, and I was so excited to shoot in it! It is authentic, and real leather. The top went perfectly with it, and the photographer actually let me keep it! Super sweet girl!! Her name is Katherine Gaines of Ambient Eye Photography, and let us not forget the phenomenal MUA and hair stylist. She is Anna Castillo of INK Cosmetics. Both women are incredibly talented, and I cannot wait until the next time I shoot with them! Okay, so I am in California, safe and sound in my new house. It is pretty nice, and I think I will love it here once I get used to it. It is certainly far from home, but I have a good feeling. SO I have a pretty good story about my long plane rides today. I got onto my first one, which was rather short from Virginia to Chicago. Once my flight landed into Chicago, my next flight was already boarding, so I had to rush to the next gate. Fortunately my next gate was right across from my previous one. I rushed in line, and of course was in the last group to board, so I got another middle seat in the back, yet again. I sat in between two men. One was three times my size, and the other was smaller than myself. I asked the larger man if I could sit between the two of them, and he kindly got up and let me sit. He then said, "I am sorry if my shoulders touch you, I have really broad shoulders." And I sort of laughed and replied, "No worries, it is okay." Throughout the flight, him and I got to throwing around some conversation here and there. Just casual talk, and then he asked me if I liked sports. Whenever somebody asks me this question, I always say the same thing: "I do not like to watch them, but I love to play them." He then asked if I liked football, and I said I did not know much about it, but my family did. And then he said, "What is their favorite team?" Everybody in my family is a die hard steelers fan. When I said this, he said, "EEEWWWW!!" And I said, "What is wrong with them?" And as he pointed at this bag that had some symbol on it, he said, "I stick with them; I play for them." And then I was confused, because I did not recognize the symbol on the bag. So I, being as sleepy and drowsy as I was, took a nap. I have no idea how long I slept, but when I awoke, I thought to myself, "Uhm, this guy is an NFL football player, why am I not speaking to him?" I am sure he was wondering the same thing, or something similar to that. So of course I started asking him how long he has played, what position, if he still plays, etc. because anybody can lie about something like that. He answered all my questions, and I then, just to be totally sure, asked, "NFL? You play for them?" And he must have thought I was an ignoramus or something. But he just kindly said, "Yeah,"
I only asked just to confirm. I have no idea why it took me so long to absorb the fact that I was sitting next to Andrew Jackson of the Buffalo Bills, and it only took me a whole day to find out because I had to go home, google NFL football teams, find the symbol that matched the one on his bag, look up the roster for the team members, and match the faces. And sure enough, when I did all of that, he was no liar. I could not believe it! He was such a real person, not at all absorbed in himself or anything like that. We talked about passion, and how it takes passion to reach your goals. He said he understood why I had the desire to move across the country, away from everyone I knew and loved. He said he did the same thing for football. When you love something so much, you want that thing and will do everything you can to attain it. His story was great to hear, and makes me feel rest assured some because what I did is quite bold. It was nice to sit with some body who is not totally full of themselves, especially after they have gone into fame. Fame or no fame, so many people care about nothing other than their self. He was a real, genuine person. I think he enjoyed the fact that I had no idea who he was too. It was a long, awesome plane ride, and I would not have had it any other way. And no, I did not ask for a picture, or autograph. I did not think I should have. But it is something that I will look back at and laugh at about how dumb I was and how long it took me to realize who he was. Today I will be moving into my new home in California! It is extremely early here on the east coast, but I will post when I get out there and let you know how everything goes! I am moving in 5 days to California, from Virginia. I am super excited but so sad to say bye to all the ones I love! But Cali better get ready for me! I have sooo much packing to do! 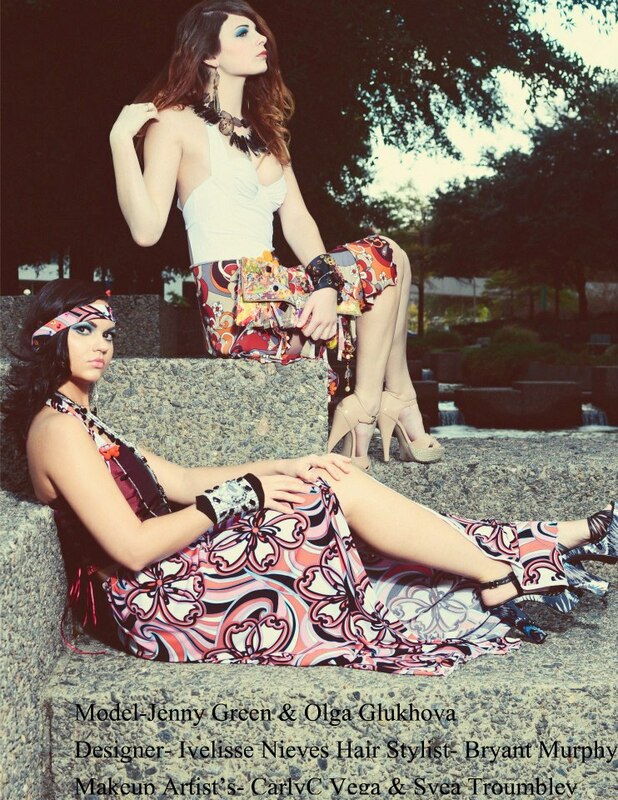 I did a photo shoot with a few models and Lee back in October, and the pictures got into a magazine out in Arizona! 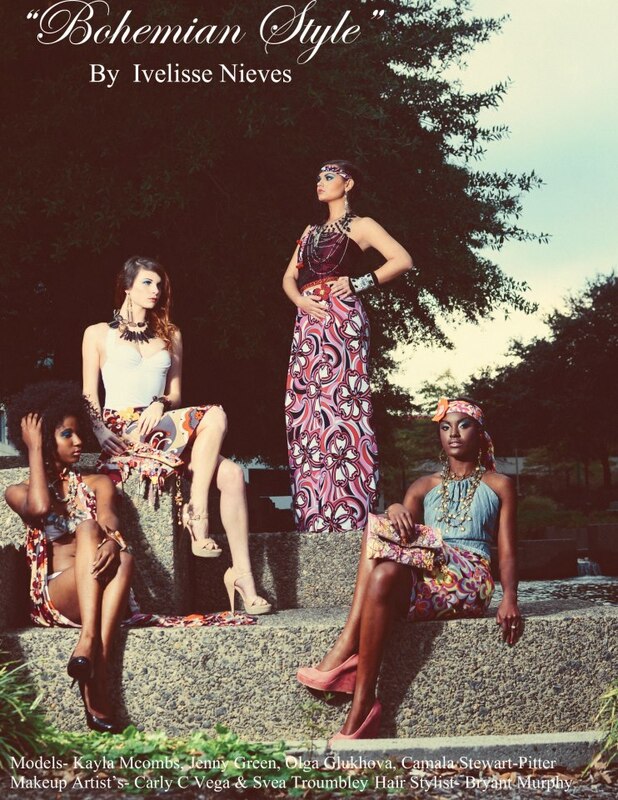 Models: Ogla Glukhova, Kayla Mcombs, Camala Pitter, and myself. So last night we finally bought my ticket to California. I am really excited! Everyday gets me closer to pursuing my career. I swear, the closer January 4th gets, the more things piece themselves together to make things more easy for me. It is a relief. My plane leaves early in the morning and will land around noon. I am going to land in the airport, get picked up by my roommate, and we are going to LA so I can audition for America's Next Top Model the next day. I am going to see more of LA than my new home in the first two days of being there. I am anxious to see how things go! I will definitely keep you posted! Also, I attached a few pictures from previous photo shoots that I have been doing. I will put some up of the shoot I did in Baltimore as soon as I get access to them!